There is so much more to writing than a pencil or a pen, but often we feel under pressure to make sure that children have a mark-making implement entwined between their chubby fingers at all times – just in case we miss an opportunity to mark make or write! There is so much more that children need to experience before they even think about turning their marks into writing. The first and most important skill that children need to be equipped with to be successful writers is the ability to talk. All that writing is, is talk that comes out of the end of their pencil rather than their mouth. So, if you cannot talk it, you cannot write it (unless you are copying!). Often too much time is spent on the ‘how’ of writing and not nearly enough time on the ‘what’. Children need lots and lots of opportunities to talk and to experience that talk in a variety of ways. The more talk that they can engage in then the more language they will come across. The more familiar language that they have in their heads then the more diverse their writing will be. You can have the most beautifully formed handwriting in the world, but if you have nothing to write about then that is where you will get stuck. 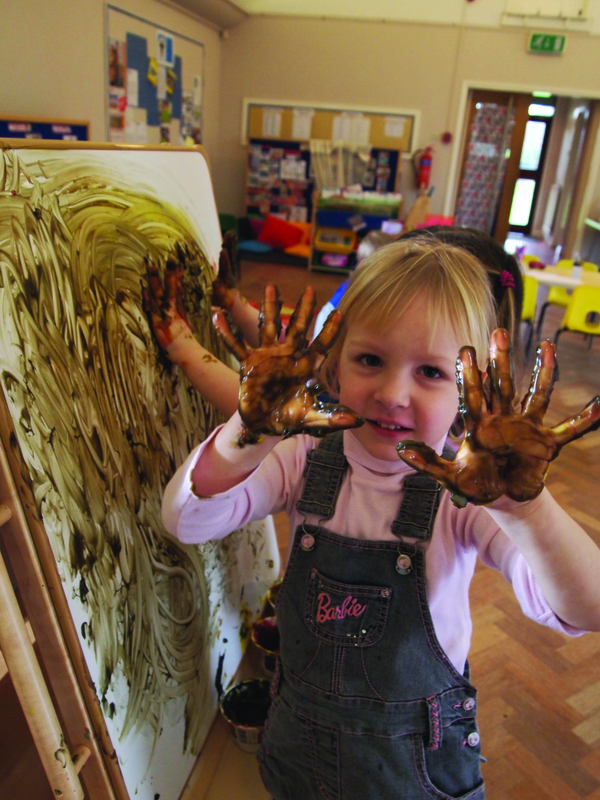 This brings us on nicely to another important element of early mark making and writing – the ‘physical’ bit. You are not born being able to write – it is a skill that you have to practise and develop over time. 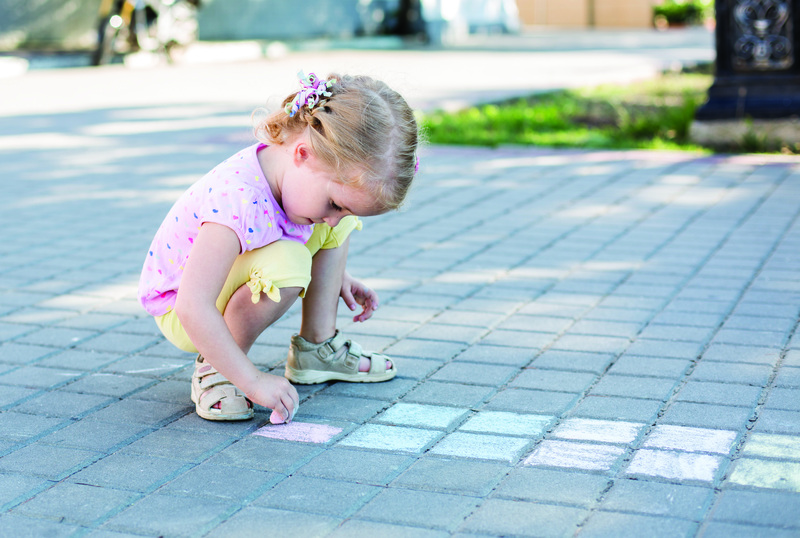 Different children develop their ability to manipulate their mark-making tools at different times. It is REALLY important that we don’t push children too hard, too soon and in the wrong direction as that can put them off for good (especially boys, who tend to develop their physical dexterity a little later). Of course, when we crawled out of the primeval ooze many millions of years ago, we didn’t have an immediate need to write a ‘to do’ list. We were too busy evolving. So, writing is not an innate basic human instinct. To enable us to evolve we developed our ability to gather food and create and manipulate tools. It is these physical developments that we now use to manipulate our ‘writing’ tools. As our muscles grow and develop, so does our level of dexterity. We start off as very young children with lots of gross motor physical movement and gradually, with practise, refinement and growth, that gross motor movement becomes fine motor movement. We are then able to use the joints within our arms and fingers and the muscles and tendons within our hands to allow us to grip and move with far greater dexterity. 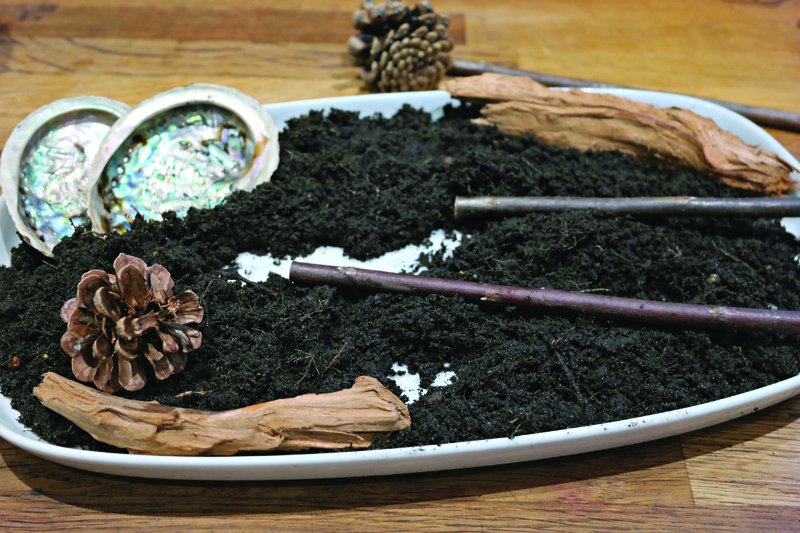 As adults supporting early mark makers it is vital that we recognise each stage of a child’s physical development and make sure that not only have they got lots of opportunities to make the appropriate type of marks, but also that the environment that we create is full of other resources that will help them to consolidate their skills and develop them further. Most children start their mark-making journey by using a palm grip (nice and tight) and they tend to have a large range of movement that comes from their shoulder. I would refer to these children as ‘shoulder pivoters’. 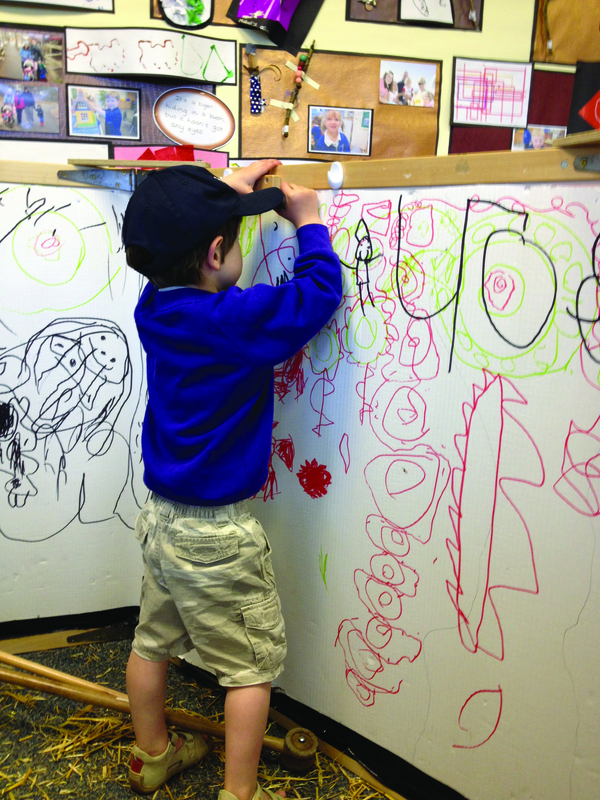 If you know that you have got some children that are pivoting from the shoulder and making large scale gross motor movements, then you need to put in place lots of large mark-making spaces where children can really consolidate their pivot before moving on. If we can give our children lots to talk about and plenty of opportunities to talk, combined with lots of activities and appropriate spaces to help them to develop their pivot and grip – we will have a recipe for lots of successful and happy writers. We might save a few lipsticks and skirting boards while we are at it! More information about mark making and writing development is available in Alistair’s book Getting Ready to Write and for some more practical ideas for your mark makers try 50 Fantastic ideas for Mark Making. Alistair is a popular Early Years consultant and ex-headteacher dedicated to helping settings enhance their EYFS practice. 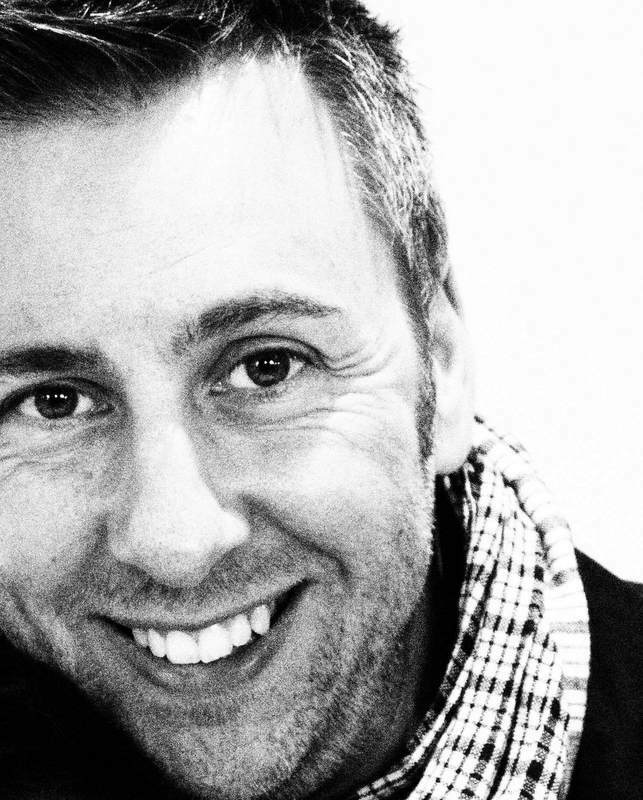 He works with individuals, settings and local authorities both nationally and internationally. His latest books in the 50 Fantastic Ideas series are designed to inspire children on the road to writing.